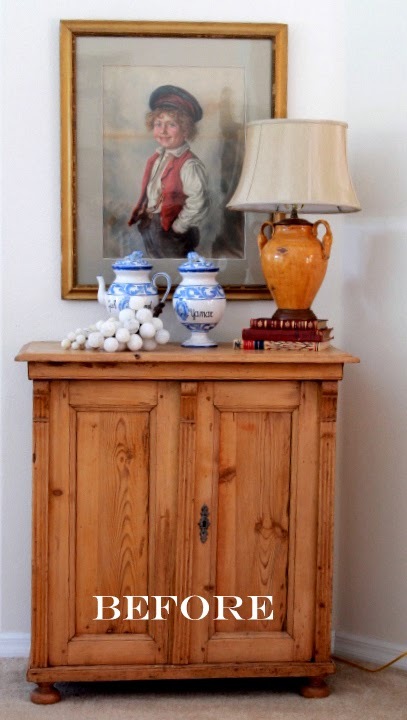 I bought this antique pine cabinet many years ago and have used it in numerous homes. The piece is from the early 1800’s and probably from Scandanavia. For years I have thought about painting or white washing it but just couldn’t get up the courage to do it. The other day I decided since this cabinet will probably always have a place in our home so why not go ahead and make changes. Why live with something you like but not necessary love? 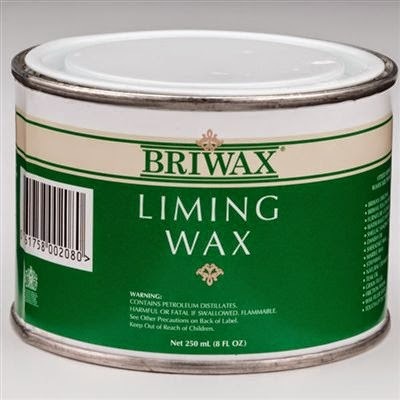 After looking at many paint treatments on Pinterest and researching options I decided to try Liming Wax. It was super easy to apply and I love the new look. The change is subtle but tones down the orange of the pine and fits better with our coastal style. The wax was purchased at Amazon.com and I was not compensated in any way for this post. Next I’ll try the wax on a painted piece. Sherry, that really looks great. Aren't you glad you got your nerve up? That's a nice alternative to paint! I really like how it looks Sherry. I have a couple of pieces that are very old and I am afraid to try doing something with them. But, this looks wonderful. 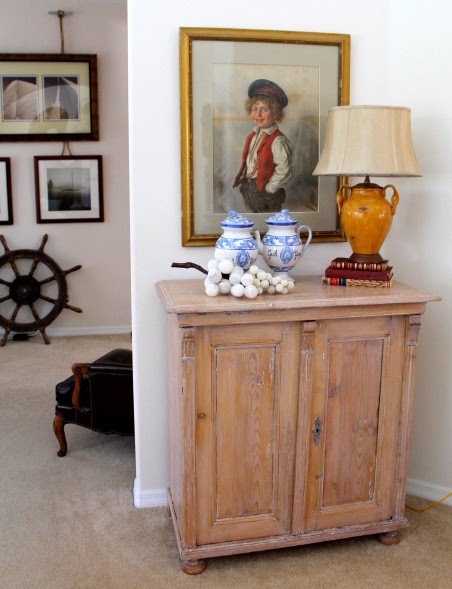 I have the same – or at least a very similar – cabinet (not an antique but it's made from reclaimed pine). I never really loved the piece and even talked to the store I purchased it from about a "trade in." I ended up painting mine in white chalk paint with a tiny edge of gold leaf around the top. It's better but I like your cabinet more. I looked into liming but thought the pine was not porous enough to hold the shading. Thanks for the inspiration. What a pretty cabinet Sherry…I LOVE the look the limimg wax gave it!! I would love to try it on our oak stair railing. Lovely transformation! I like it so much better. Who would have thought that such a subtle difference would have such impact? I would have hated to paint such a piece too, but this is perfect. I love the new look! I believe that you should love everything in your home, so I never hesitate to paint or stain or alter any piece to my likings. I think it looks just perfect with your other furnishings! Way to go! Great going Sherry. The piece looks so pretty. I have never heard of liming wax so thanks for the info and to see how it works. Very pretty. Oh how pretty! Now I can't wait to see the results on a painted piece! I have a piece of furniture that I would love to try this on, so thank you for sharing this info. It looks GREAT! Sherry, what a perfect solution! I love it and now I have heard of yet something else that is out there! Beautiful. I limed our antique English oak dining room table last year and love it. This year we are installing limed oak engineered floors in the living room and bedrooms. It looks great, Sherry! Good call, I love how it turned out. I love that look!! !..I can't wait to try it out!…and looking forward to seeing what it does on a painted piece! I've white washed several pieces in my home Sherry including our pine paneled walls but this looks so interesting. Must try it and I love how your piece turned out. Whitewashing over pine is a favorite of mine. Love the new look. I have an armoire that is the same color wood as your cabinet and have also been toying with the idea of painting it, but could never do it. 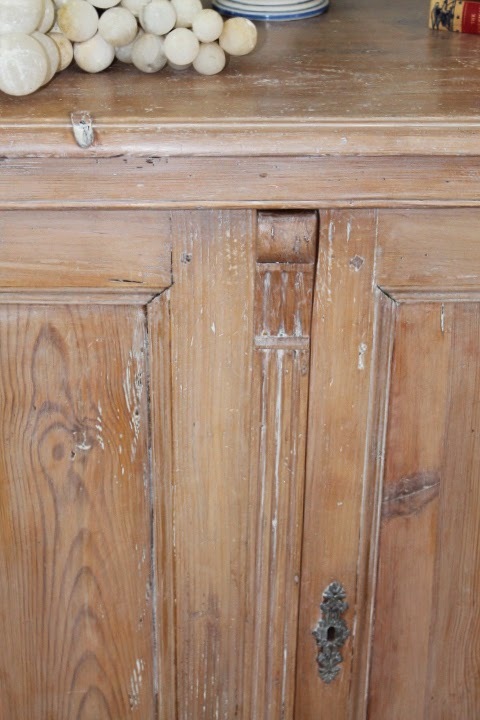 After seeing your results, I am definitely going the lime wax route – even my DH likes it!!! I had not heard of this product before – THANK YOU so much for sharing it!!!! It turned out so beautiful….I love it!!!! It's crazy that you got such beautiful results with only a wax! I am amazed! Thank you for sharing your find. Very interesting, Sherry! I've never even heard of liming wax. I actually have a huge armoire that could probably stand a good waxing with it, although my family would have a fit! I really like how yours turned out! I never knew you could achieve this kind of look with wax?! Thanks for this info Sherry! Oh I love that! I'm a big fan of Bri Wax. I've used it before on some of my pine pieces. I could've used that lime wax on my coffee table top before painting it. Hmmmm……too bad I didn't do that. I love the look of it. I always wondered how antiques got that look! I love it! Thanks for sharing about liming wax…I have never heard of it before. Does it give a white cast to painted pieces? It looks very nice, very French, actually, with the lime wax. And the beautiful thing about wax is that it can be removed if you ever change your mind. Beautiful, subtle transformation, Sherry! Your vision paid off! Hmmm, I wonder what piece you'll do next … can't wait to see! Wow! Great transformation. Can you use liming wax over a pine piece that has a clear lacquer? I've not heard of this wax before but will be looking into it. What a great transformation this is without completely hiding the grain of the wood. I have an old oak dining table, round with claw feet, that I'm wondering if this would work on. My mother-in-law, husband and my children all did their homework around this table so it sort of feels like it would be wrong to completely cover it with paint. Hmmm . . . how would you like to come on up to SC to offer your opinion? LOL! Thanks so much for sharing Sherry. I think I will give it a try! These recaps are great to catch up on any we missed. I now have the liming wax post pinned. Happy New Year! Sherry, what prep work did you need to do on the cabinet before waxing? I am moving into a new-to-me home built in 2000 filled with orangey oak cabinets and this is exactly what I want to do in the kitchen, even have the can of Briwax already! Thanks! LOVE the look! I have been wanting to purchase this briming wax since I first heard about it a couple years ago. I have pine doors that have never had anything put on them. Do you think they'll still come out like yours or does it need to be applied over a stain?